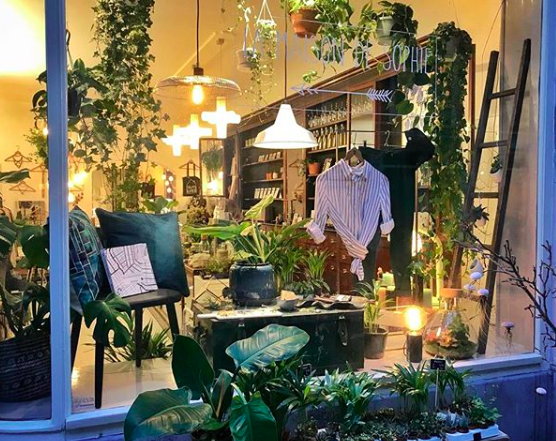 La maison de Sophie is a cosy minimall in the heart of the Jordan area in Amsterdam. We have lots of goodies in store, like fashion, jewelry, home deco, handmade local designs and delicious coffee. Our main goal is to create a collection that is unique, a little edgy but above all affordable. We are always hunting for new cute stuff made by local artists. You are most welcome to drop by to enjoy a good coffee, nice music and cuddles with our shopcat Jinx. UPDATE: we are happy to announce that we are now 'roomies' with Thuyskamer (thuyskamer.nl). That means we are also working on a new website and webshop. We will keep you posted! 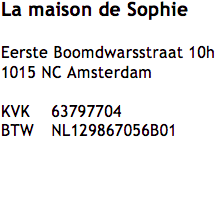 La maison de Sophie - Amsterdam. Thema Eenvoudig. Mogelijk gemaakt door Blogger.